Situated at the bottom of Husthwaite village our school building is bright and spacious and we are fortunate in also having extensive grounds which enhance our pupils' learning experiences promoting respect and understanding of our environment as well as encouraging a healthy lifestyle. Balanced alongside this, we are a well-resourced school that offers children the opportunities to explore their individual learning styles using a wide range of both traditional and modern pedagogy utilising up-to-date technology. We are also the only state registered nursery in the area offering quality education to children from aged 3 years. Recognising the changing working climate we are able to offer full day nursery sessions from 8am to 6pm through our links with an out of school club provider. The school was inspected by Ofsted in October 2013 and graded as good in all areas. To read the full report look on the Ofsted website at www.ofsted.gov.uk or follow the link on our website. Husthwaite Primary and Nursery School is a well- resourced educational facility offering quality education to children from 3-11 years of age. 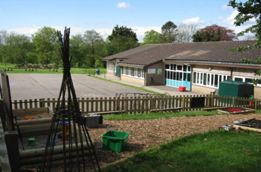 Located at the bottom of this thriving village, the nursery is set within the school’s extensive grounds; an ideal environment for stretching children’s imaginations and encouraging creative minds. Balanced alongside this, we are a well-resourced nursery school that offers children the opportunities to explore their individual learning styles using a wide range of both traditional and modern pedagogy utilising up-to-date technology. We are the only provider in the locality which offers nursery education in a state school led by a practising qualified teacher who is also our Foundation Stage Manager. All nursery staff hold level 3 or above qualifications relating to children’s education and development. We are a “good school” – Ofsted 2013. Access to whole school resources including musical instruments, PE lessons, ICT and other technologies. Funded places available as well as acceptance of childcare vouchers. We are open 5 days a week from 8.45am-3.30pm. Nursery sessions are offered in blocks of 3 hours. For those parents wishing to extend their nursery sessions we also offer a lunch club in addition to the 3 hourly nursery sessions. Each child is entitled to 15 hours of funded early years provision – additional sessions can be purchased enabling parents the choice of full day care in a quality educational setting. Currently morning and afternoon sessions cost £12.50 each and lunch club £2.50. For further information please see our website: www.husthwaite.n-yorks.sch.uk. Alternatively please call the school office on 01347 868371. Visits to our nursery are always welcome. We are proud to support locally sourced fresh produce & artisan foods, preserves, chutneys, olive oils, gingerbreads, Husthwaite cider & liqueurs Beacon Alpaca products. Quality artwork, crafts, home & garden accessories, health & beauty products, jewellery, chocolates, books, cards & much more! Stock up your cupboards! Pick up that special seasonal present! The Apple Tree Café will be serving up delicious home-made hot and cold food and beverages. 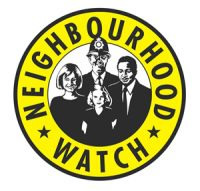 Husthwaite Neighbourhood Watch AGM 2015 will be held at 7pm at the Village Hall on May 18th. Chief Constable Dave Jones leads a top team of Tim Madgwick(DCC) and Paul Kennedy (ACC) at the present HQ at Newby Wiske near Northallerton. There is now increased co-operative working cross-border in North Yorkshire, as recources become more stretched. The elected Commissioner for North Yorkshire, Julia Mulligan, attended a meeting of NYNHWA at Crayke after missing her promised attendance at the 2014 AGM of the Association. This year's AGM will be held at Newby Wiske on July 7th from 10.45am-3pm at which the public are welcomed. (Let me know by June 15th if you wish to attend). 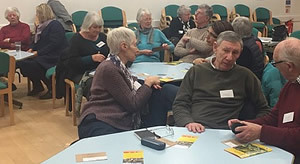 HSNHWA: For more information re policing matters please visit the web-site of Hambleton South Neighbourhood Watch Association at www.hsnhwa.org.uk Its AGM will take lace at The Galtres Centre in Easingwold on May 18th at 7.30pm; the address will be on CyberCrime. ICE : Put this In Case of Emergency acronym in front of your next-of-kin or emergency contact number in your mobile phone so police or other emergency services can make contact if necessary. You are never alone with ICE. Do you know where your passport is? Take 2 copies of your passport, one to travel with you separately from the real one and one to leave at home in a safe place. Keep your passport on you. Be wary of surrendering it even to police; a driving licence or a copy of it or your passport will do equally well. Report a lost or stolen passport to the police or the British Consulate or to the local police or I.P.S. 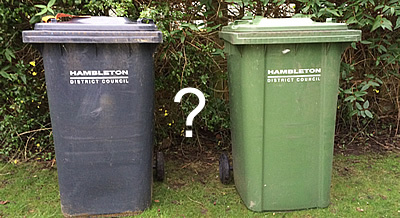 in U.K.
Chuggers (Charity cold-callers) should always carry a Hambleton DC licence; please remind family and neighbours that they should not sign donation agreements on the doorstep. Check for scams : PhonePayPlus website checks numbers for validity and JustAnswer.com/Scam-Examiner gives instant information about email scams. Never tell anyone your PIN--banks will either not ask or in emergency write to you suggesting a meeting at the bank. www.getsafeonline.org is another government site with much helpful information for protecting you and your computer. Please let me have your email if you wish to be included in the fast messaging system, or give it to your co-ordinator. (Chairman's note:In 2015 there is still a problem with the dispatch of these but your Co-ordinator will keep you in the loop.) If you would like to co-ordinate information for about 10 houses please let me know.The scheme includes every house in the village free but not all houses are served by a designated co-ordinator--and we need you. St.Nicholas' Parish Church, built in the 12th Century, is one of seven churches forming the double benefice of Coxwold & Husthwaite and Crayke with Brandsby & Yearsley. A copy of our churches' Profile may be seen here, giving an interesting overview of the life of all seven churches. The profile was prepared in 2012 to help us find a new rector, who happily is now in place. Weekly Services are held at various times on Sundays and on certain feast days. Information about these is available on the calendar at the bottom of the Welcome page for this website. They are also in The Link - our Benefice magazine - and on the notice-board by the Church gate. More details may be found here on the Church of England website. The Church is open every day for visitors and private worship from approximately 10a.m. to 6p.m. (or dusk if earlier). A leaflet giving an outline history of St Nicholas' Church and of Husthwaite village is also available by the main door. St. Nicholas welcomes newcomers and coffee and biscuits are served after services so that people can meet and chat together. Every Thursday, at 6p.m. there is a half-hour prayer meeting, enabling people to pray together informally. Our parish team is led by the Reverend Elizabeth Hassall, who has been in post since February 2013. As well as being our Rector, Liz is also responsible for the sister churches in our Benefices at Brandsby, Carlton Husthwaite, Coxwold, Crayke, Wass and Yearsley. In September 2014 Liz took on an additional rôle, as Rural Dean of Easingwold, the Deanery covering 24 local churches. In her busy rôle in the Benefices she is supported by an Associate Priest along with trained lay worship leaders. Details of the Husthwaite team are given in the box below. We are fortunate in the parish in having a very active and willing band of volunteers who support and assist the church in many different ways, whether as sidespersons, in taking part in our services, in providing refreshments, in decorating, opening and cleaning the church, in serving on the PCC, in running and delivering the magazine, in overseeing the church finances, in liaising with other organisations in the village or in climbing the church tower to fly a flag on important occasions. Each month we have a mixed diet of services including Holy Communion, Morning Prayer and Worship for All Service. On at least three Sundays each month there is a service, and sometimes on four. Everyone is welcome at all the services, even if not a regular churchgoer or member of the Church of England. We pride ourselves on the welcome we give to visitors. Details of each month's services, along with those in other churches in the Benefices are given in the The Link, the monthly magazine and by following this link. Each Sunday there are at least three services in the Benefice and usually more, sometimes as many as five. Members of each parish are actively encouraged by Liz to attend services in another church when there is no service in the home one. Services also take place during the week on particular church festivals, notably Ash Wednesday, Good Friday, Ascension Day and All Souls' Day. When there is a fifth Sunday in the month we hold a joint Benefices Service at one of the seven churches and during the year there are united services with the Methodist Chapel in Husthwaite, for example at Harvest, on Remembrance Sunday, for Chapel Anniversary and Covenant Services and for the village Christmas Carol Service. If you are interested in being married or baptised in one of our churches, we would be delighted to meet you and talk through the possibilities. Please contact Liz (details above) or one of the churchwardens. A special service and tea is held every so often for those who have been baptised and their family. For arrangements for a funeral, contact should be made with Liz. The Link is the monthly newsletter for the four villages of Husthwaite, Carlton Husthwaite, Coxwold and Wass. It is edited by Jan Coulthard and items for insertion in The Link should be sent to Jan by email (jancoulthard@hotmail.co.uk) or by post (Aletheia House, Husthwaite, YO61 4PX ). The editorial deadline for each month is usually around the 15th day of the previous month. You can usually find some spare copies of The Link in the church or you can take out an annual subscription, currently for £4, and the magazine will be delivered to your home if you live in the village. Details of services conducted at every Church in the double benefice are given in The Link for the month ahead. Our sister churches are All Saints' - Brandsby, St Mary's - Carlton Husthwaite, St Michael's - Coxwold, St Cuthbert's - Crayke, St Thomas' - Wass and Holy Trinity - Yearsley. Service information is also given for the Methodist Church in Husthwaite. As well as the above, The Link is also used to advertise local events of a more general nature. We see ourselves at the heart of the community, not only geographically, and we welcome local residents and visitors to the church at all times. We work closely with Husthwaite Church of England Primary School, welcoming the children for particular services but also participating in their education. Along with the Methodist Chapel, we are currently participating in a programme of four events based on the stories and symbols of Easter, Christmas, Harvest and Pentecost, each of which sees the entire school visit the church and chapel in a series of groups during a morning in term-time so that volunteers can explain the meaning of each of these four festivals to them. At Harvest, the church also organises the Harvest Ho Down in the Village Hall, each May raises funds for Christian Aid week, usually through a coffee morning, and just before Christmas, in harmony with the Methodists, leads carol singing through the village. Charitable giving is an important part of our Christian faith and the church acts as a collection point for the Hambleton Food Share Scheme based at Northallerton which is a food bank supporting families throughout the region. A list of suitable items to donate can be found in the church porch and food can be left at the back of the church from where it is transported to Northallerton most Mondays. A constant theme of PCC discussions is development of the church. We are keen not only to look at ways in which we can better serve the local community but also the development of the church building. Currently, funds have been raised to provide a new church door to enhance the main entrance and protect the porch; This was made in the village by Trevor Hutchinson, son of Wilf Hutchinson, the original Squirrelman and may now be admired in situ. The Church is the most historic building in Husthwaite and is situated at the heart of the village, facing the village green. Parts of the Church building date back to the 12th Century and the Churchyard contains gravestones spanning four centuries. The main path is lined by a cottage style garden. Overlooking the Green is the village war memorial which names the villagers who fought and died in the Great War (1914-1919). Thankfully all those who fought in the Second War returned home safely. 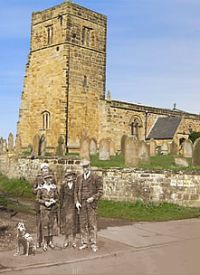 For family history researchers tracing their Husthwaite ancestors certain records are available on the Husthwaite History website here, namely the Monumental Inscriptions, Burial Records and Location, Cemetery Map, Church Map and Baptism Records. Further records are available on the FindMyPast website here, for which there is a subscription fee. The simply constructed parish church of Saint Nicholas stands at the centre of the lovely ‘orchard village' of Husthwaite. As in most areas of substantial 9th and 10th century Scandinavian occupation, the first farmer-settlers coined a place name descriptive of their new settlement. Expressing themselves in their vernacular Old Norse language they called it Hūs thweyt - named for their homes in a clearing carved from the surrounding woodland. A charter of the period 1169-93 speaks of the old road to ‘Baxebi and Husthweyt', evidence of the by then two hundred years old vill of Husthwaite. The origins of the parish church of St Nicholas however remain unclear. The Rydale area of North Yorkshire is rich in its early Christian remains. In a remarkable document preserved in the Papal Archives for 757AD we can read a letter from Pope Paul I to Eadbert King of Northumbria urging him to restore the monasteries of Stonegrave and Coxwold. We know that the church at Husthwaite was, in origin, a chapel of Coxwold and that therefore the history of the two churches must be closely interlinked. At the Norman Conquest Husthwaite passed into the ownership of the Archbishop of York, the Patrimony of St Peter and became a Prebend of the cathedral. The seal of the prebendary of Husthwaite can be seen in the Chapter House in York Minster. The Prebend system was temporarily abolished on the death of King Charles I in 1649, but was restored in 1660 until its abolition by the Ecclesiastical Commissioners in 1853. The estate was sold first to Mr J Dixon, then later to Mr William Harrison and subsequently to Mr Edward Harrison (died 1911) who became the Lord of the Manor. We have tantalising glimpses of the priests serving the village community in the early medieval period. In 1177 we hear of one Thomas Sottewame placed in the chapel of Husthwaite. A few years later there is mention of one Brian, the resident priest in this chapel. Robert Midgeley, perpetual curate at Coxwold, began to officiate at Husthwaite in June 1707. He was master of Coxwold free School for fifty three years and author of ‘Compendious Schoolmaster'. From Robert's death in 1761, we have an unbroken line of Priests in Charge to minister to the needs of Husthwaite (listed here). Throughout its life, our church has seen many changes and has been the subject of significant change. Those concerning the fabric of this historic 2* listed building may be viewed here. The Methodist Church is situated opposite the Village Shop in High Street, a red brick building dating from 1928. There is a weekly service at 10.30a.m.on Sunday morning and details of preachers can be found on a notice on the gate-post. Every third Saturday of the month, the Chapel is open to all members of the village community for Coffee and Chat. This is an opportunity to meet with friends old and new and enjoy free coffee, biscuits and informal chat. On the first Wednesday of each month there is a prayer meeting, open to all, from 9.00 to 9.30a.m. There is a box in the Chapel porch for Prayer Requests and the Chapel is left open until 4.00p.m. on Sundays for anyone to enjoy a few moments of quiet and to leave any requests for prayers for individuals or any general concerns. There is a Soup 'n' Pud Lunch on the second Wednesday of September, November, January, March and May. This is available to anyone in the village and is another opportunity for meeting together. During the Autumn and Spring terms, there is a fortnightly Bible Study which is held in different homes. Details of all these events can be found in 'The Link' magazine. You are assured of a warm welcome at any of the Sunday Services and other events. Husthwaite and District Gardening Club is one of the longest established gardening clubs in North Yorkshire having begun in 1959. Members come from both Husthwaite and the surrounding towns and villages. Many members are experienced gardeners, many are not. We organise our evenings so that members can share their gardening experiences (good or bad) so others can learn and develop their interest in gardening. The Club's aim is to provide anyone interested in gardening the opportunity to learn and/or to share their experience and to encourage the gardener in us all. The Club meets on the second Thursday of each month at 7:30pm from September to May (no meeting in January) in Husthwaite Village Hall and has a programme of speakers covering all aspects of gardening with the occasional talk on something a little less horticultural. The Club aims to be more than a monthly gardening talk: it is a place to meet people and to make friends. In November we have our annual dinner at a local hostelry and in May we hold our annual plant sale (which involves almost everyone in the club in some way or other) to help raise the funds that enable us to acquire quality speakers and subsidise some of our other activities. Summertime sees the club organising visits to gardens of interest to the membership, some of which are not normally open to the public. 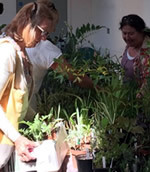 Occasionally we put on workshops to get a more hands-on experience of some aspect of gardening and we encourage members to visit each other's gardens both to get inspiration and to further the social aspect of the club. The group originated in 1986 under the aegis of the WEA and has since developed into a local history society. Our aims are to promote, develop and research the history of Husthwaite and its surroundings. This includes the geography, people and events that have combined to bring our village into the 21st Century. We have our own website in which we try not only to make information more accessible and to illustrate what we are doing but to encourage involvement in our work. There is information on events, current projects and past publications. In addition, there are also galleries of photographs which illustrate an increasingly comprehensive view of the history of Husthwaite. We welcome contributions in any form. New members who wish to be involved in current projects or simply to develop their own can use the contact information in the site. Anyone who has documents, photographs or simply more detailed information on any of the photographs in our Gallery is also welcome to contribute. Purely an informal group of villagers and friends who venture north to the Riverside for most home games. The club's regulars are the Mowatt & Hill families ably assisted by lifelong Boro fan, Richard Wood. Its purpose is to foster interest in our local club and spread the word that attractive football and scoring goals are not necessary to enjoying a match. One thing is certain we can't be acuused of being glory hunters!! Occasionally we persuade others to come to matches. If anyone wishes to come to a game then please contact Will on 868196. This month's village play is a production with a difference. Don't expect the jolly japes of recent ugly sisters, family scandals and hospitals with three matrons. 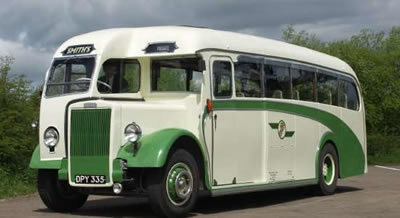 Instead you'll travel with us onto the North York Moors. It's glorious wild country on a summer's day or in the winter snow. Try getting lost up there as foggy night falls and it's not quite so cosy. That's what happens to four teenagers on a Duke of Edinburgh expedition. Sensibly they settle down in their sleeping bags and wait. And into their dreams, along the moorland ridge come ghosts of people who have travelled the drovers' road over many centuries. We're with the girls of the Limekiln Inn as they wind themselves up into feverish excitement at the prospect of the arrival of the cattle droving lads - big and gentle, dark-eyed and handsome, men who have seen the world from the Lowlands of Scotland to the markets of London and York. Prepared to be scared stiff by the Souls, wild spirits of the Moor, who have seen dreadful things and have the guilty conscience to match. Watch the extraordinary bargaining routine that the drovers act out when one decides to sell his share of the herd and settle down with a Yorkshire lass. (Robin researched this routine with a local cattle dealing farmer.) Meet King Edward II, retreating with his cold and hungry army across the stony North of England, ill-prepared to face Robert the Bruce in the Battle of Byland which took place in Hell's Hole not far from our White Horse. You'll be familiar with some of the actors and you'll meet the new generation of Husthwaite's actors: Rebecca Colton, Katie Pickstone, Alex Colton, James Sibley, Hannah Benn and Rory Watt. This is the talent following in the footsteps of Kerry Barker, now an established principal performer with Easingwold Players. The play is directed by Robin Walton, with musical support from David Pike and Gila Robinson. The producer is Stephen Barker. The play puts the new village hall through its paces. Wednesday 23rd to Friday 25th July. 7.00pm. Tickets from the Husthwaite village shop, Jane Cluley or Stephen Barker. There isn't a formal drama society in Husthwaite. The pantomimes and plays which have been presented in the recent past have emerged under the leadership of directors who have harnessed the considerable technical expertise available in the village. 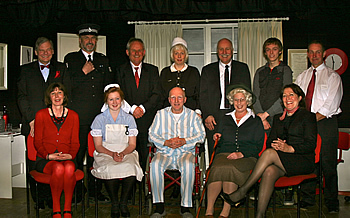 Each performance has attracted enthusiastic support from volunteer actors and has played to full houses. The current situation, then, is that there is considerable experience throughout the village community, with the range of skills and enthusiasm needed for presenting a full-scale dramatic show. Anyone interested in leading such an enterprise in the near future will be warmly welcomed when they make their proposal to the Village Hall Committee. Robin Walton will direct a community play, Drovers' Road, in July 2014. Husthwaite Film club is on the 4th Thursday of each month starting at 7.30pm. The club will show a wide variety of films from different genres at the village hall. 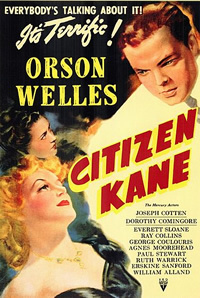 The club shows films under a Public Video Screening Licence. This allows films to be shown to a group of people but under the terms of the licence the film can't be promoted publicly and entry to the film can't be charged for. Donations can be gift aided. If you want to be added to the Film Club distribution list and find out the films in advance please contact sheila_mowatt@btinternet.com or call 01347 868196. The Book Exchange and Apple Tree cafe take place together in the village hall on the first Monday of every month, from 12.30-3 in the afternoon. While the Book Exchange offers the chance to borrow books free from a large and constantly updated collection of novels, the cafe offers delicious homemade soup, sandwiches and cakes at very reasonable prices. This joint enterprise offers a cheerful way to meet up with others and have a coffee or lunch while browsing for something good to read. 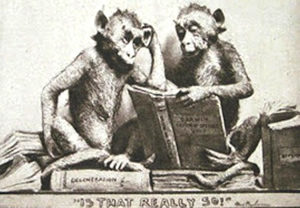 Husthwaite Reading Group will be meeting on the first Friday of the month. Following an exploratory discussion on Tuesday 7th February the group decided that a wide variety of books would be discussed but nothing too highbrow, more on the lines of those selected by Richard and Judy. It is the intention of the group to draw up a list of books for each month, for the year. The first part of the meeting will take the format of an introduction of the monthly book (a little bit about the author, a brief r?sum? of the plot and the reason why it was chosen) the group will then discuss their views about it. This part of the meeting is expected to last approximately 20 minutes depending on how the group feels. During the second part of the meeting other books that group members have enjoyed will be recommended. It is anticipated that the group will meet for about an hour. It is hoped, eventually, that by pre planning the book of the month a community loan scheme can be tapped into from the local library. This means that up to 10 copies of the book can be pre ordered and borrowed for possibly up to two months. If you are interested in joining the group then please let me know (Lesley Seaman) everyone is very welcome. The Orchard Village Club caters for Husthwaite villagers, their families and friends on the first Tuesday of every month, from 12noon to 2.30pm. Since the New Year's party in 2012, members have celebrated Christmas; summer in the garden; and most recently, the opening of the new village hall. 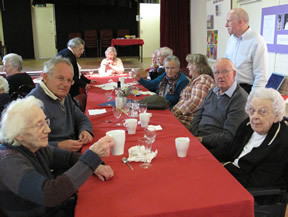 Members enjoy meeting with former residents, who return on a regular basis to take part in the activities. During the construction of the new hall the Orchard Village Club was made welcome in the Methodist Church, The Husthwaite County Primary School and in members' own homes. Entertainments include visits from the Phoenix Choir, dominoes with the Primary School children and Bingo. Members offer one another transport and contribute prizes for the raffle. They pay the small sum of £4.00 for the meal. The main course is prepared in the school kitchen, and our own highly skilled catering team provides the desserts. In the coming year we are promised a visit by the schoolchildren in March and more music with the Phoenix Choir in April. There is to be an outing in May, and we have an invitation to a garden party in July. There will be all the usual entertainments, and a matinee performance of the community play Drovers' Road has been scheduled with the Orchard Village Club membership in mind. Many OVC members took part in making the film Husthwaite Hut, which had its World Premiere at the Grand Opening of the new village hall on 1stFebruary 2014, followed by a special viewing at the OVC party a few days later. The film tells the story of the Husthwaite Reading and Recreation Rooms, 1920-2013. DVDs of the film are on sale, and copies can be obtained via OVC members for the sum of £6.00. The Orchard Village Club welcomes new members. Please ring Robin on 868 247 for further details. Yoga is a path to health and well-being with awareness as its cornerstone. It dates back over 5,000 years. It brings physical vitality, mental resilience and inner peace. 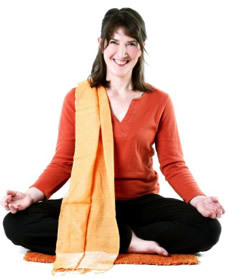 Why come to a Yoga Class?